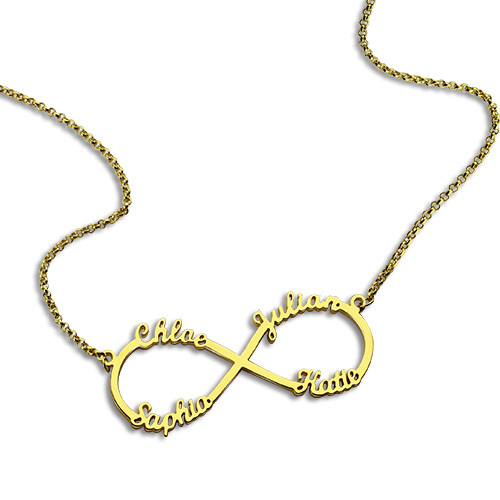 Custom 18K Gold Plated Infinity Necklace 4 Names - Infinity 4 Names Necklace provides the best way for you to show off what the word forever means to you. This Infinity Name Necklace is the perfect accoutrement to any outfit, day or night, business or casual.This name necklace is a perfect gift for yourself or any family member, friend, or significant other for any special occasion, including birthdays and anniversaries. 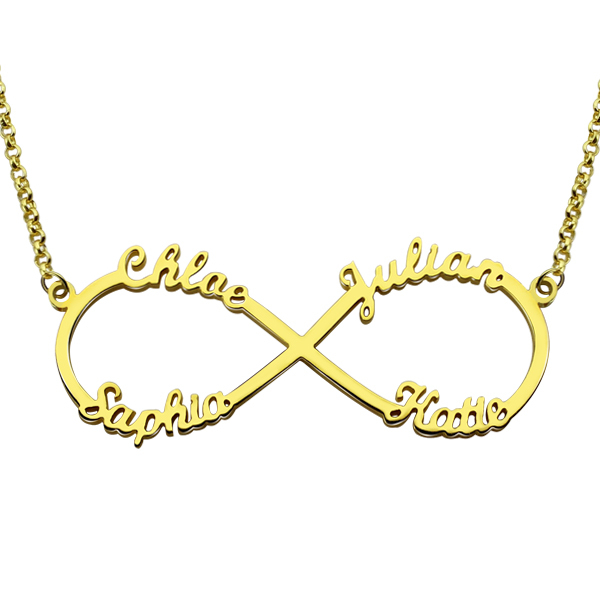 Are you a bride looking to get the perfect gift for the members of your bridal party? 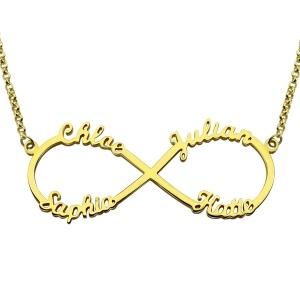 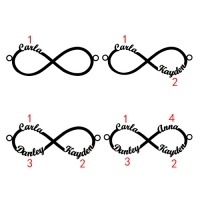 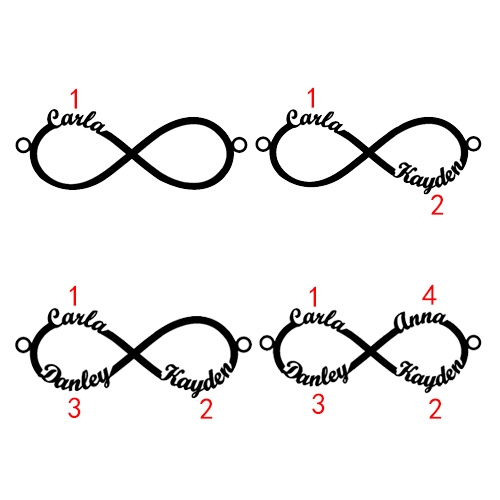 Why not an Infinity Name Necklace.